The Rotenberg vineyard is located on the top of the Hengst hillside, facing west to north-west, on a red thin limestone soil. Usually the grapes ripen slowly on this steep hillside, and it isn’t unusual to reach very high level of ripeness with strong noble rot development. However, in 2012, mostly due to the very dry month of September, the grapes stayed healthy and were harvested at a level of ripeness allowing for the wine to finish dry, showing great acidity. 2/2012: pale bright yellow colour. 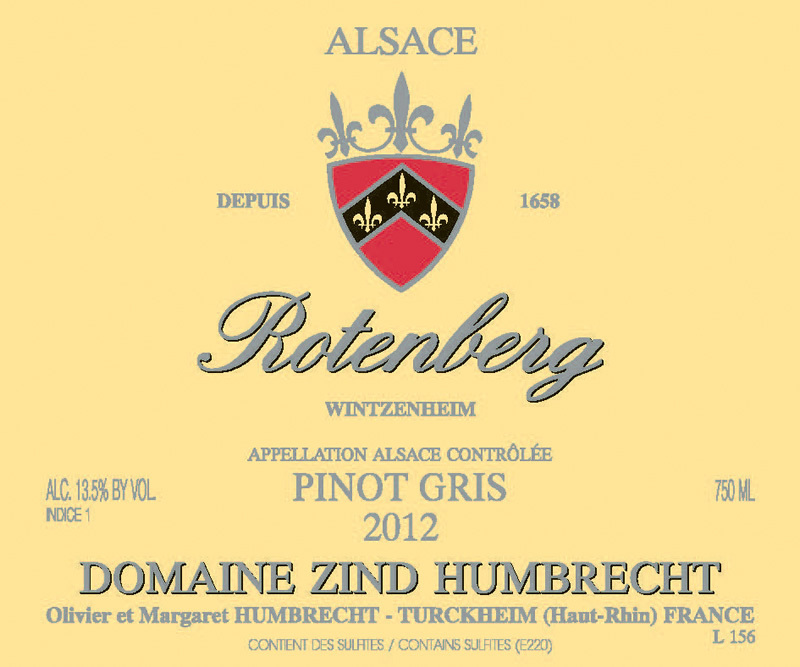 The nose is tight and firm and announces that this is serious dry Rotenberg Pinot Gris, yet with a delicate smoky expression. The limestone soils combined with a healthy harvest are responsible for the discreet nose. Usually Rotenberg develops early white fruit aromas (quince, pears) but not in 2012, it may take some time. The palate confirms the nose: this is a dry wine with great acidity and a tight structure. Low yields bring minerality and fullness, so the finish shows real intensity.